Our continuing mission is the respect for the environment and increasing the information for the institution of the program environment. 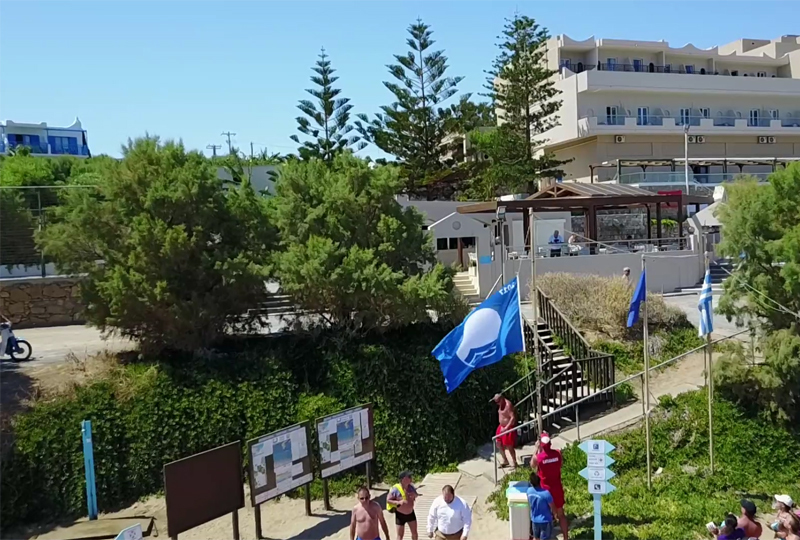 Hotel’ s continuing mission is our respect for the environment, environmental activities and increasing the information to visitors for the institution of the program environment, blue flags, and the richness of marine life. 1. Replace the air conditioning unit with new technology which enables to produce hot water without the use of oil and simultaneously offers cold air. 3. Use of solar energy for hot water and combined with the air condition machine is achieved 100% of hot water. 4. Use of gas in the kitchen. 5. Chemical analysis of drinking water, water in pool and beach in laboratory. 6. Automatic watering our gardens which operates only in the evening so we have reduced losses and water savings result. 8. Replace the electric bulbs with energy saving. 10. Automatic electrical system in rooms with card that disconnects all devices except the refrigerator. 11. Informing customers about the environmental efforts of the hotel as the environmental efforts of (FEE) for the protection of nature (EEPF).